Josephine Delgado, 22, aspires to be a Human Resources Manager. She is currently attending the Business Management Technology program at Texas State Technical College. 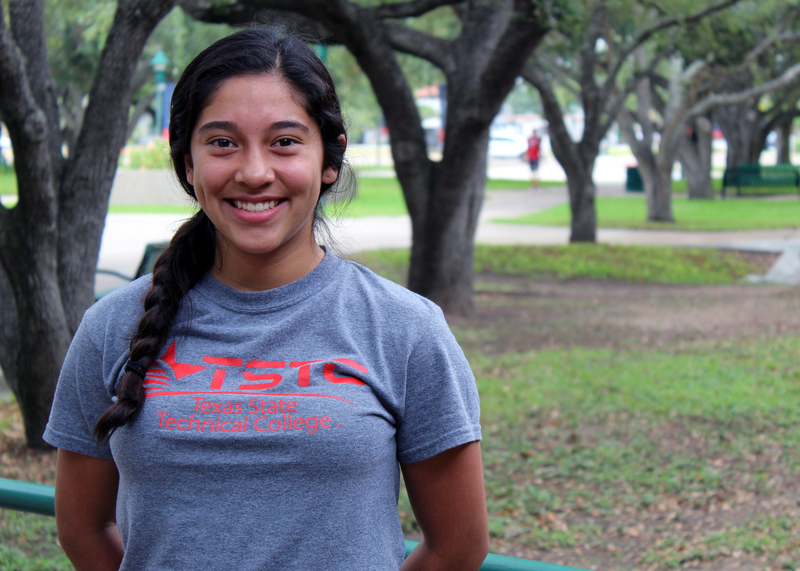 A one-time resident of San Perlita, Delgado has been an active student at TSTC heavily involved with Phi Theta Kappa International Honor Society and the Intramural Sports Club, where she serves as treasurer. To add to her impressive feats, Delgado currently holds a 3.5 grade-point average. She plans to graduate with her associate degree in Fall 2018. After graduation I plan on pursuing an online bachelor’s degree in business with a specialization in human resources. I hope to eventually work in this field. What got me most interested in business was taking related courses in high school. Upon entering TSTC, my interest only grew. The goal is to one day work as a Human Resources Manager. I credit TSTC for much of my success in life and consider balancing good grades and activities a great accomplishment. I am very proud to be a member of the honor society. Likewise, I also made the President’s List in spring 2016 and 2018. TSTC definitely facilitated my growth as a student. What great lesson have you learned about yourself or life? My takeaway from my time as a TSTC student is time management and organization of my priorities. This is something I struggled with at first, but eventually mastered. Technology Professor Dr. Edna Claus. She has been instrumental in my success here. TSTC as a whole is so helpful and provides the resources that students need to succeed. My advice for future TSTC students is to stay focused and not to lose sight of your goals.